Marina Tsvetaeva, renowned Russian and Soviet poet, lived through the Russian revolution of 1905, witnessed her husband battle alongside the White Army and face defeat following the Revolution of 1917, lost one of her daughters to starvation in 1920, and sought exile in Paris with what remained of her family in 1922. There, Tsvetaeva met Natalie Clifford Barney through Barney’s Paris salon. This year, Ugly Duckling Presse releases the first English translation of Tsvetaeva’s essay, Letter to the Amazon, originally penned ten years after fleeing to Paris. The essay is Tsvetaeva’s response to Barney’s book, Pensees d’une Amazone (Thoughts of an Amazon). In it, Tsvetaeva examines the impact of a woman’s sexuality on her life’s trajectory. She responds to Barney’s celebration of lesbianism largely through the lens of her own experiences in a homosexual relationship and with her regret-tinged return to a heterosexual one. As Catherine Ciepiela writes in the introduction to Letter to the Amazon, Natalie Clifford Barney’s work is “direct, confident and even gleeful in embracing lesbianism against social norms and authorities.” Barney was a wealthy American expatriate who preferred the intellectual arena of Paris to that of the States. She also sought and found increased acceptance of her sexuality, which she wholeheartedly embraced (in the introduction, Ciepiela calls her one of the “least anguished” lesbians of the time). Barney sensed and espoused decades before trend the need to encourage and laud female literary work. In 2016, Elena Ferrante emphasizes the need for a female canon established of its own merit and separate from the rules and traditions governing the largely Western, white, and male literary canon. Barney was enacting such a practice nearly a century before. Though her Paris salon was undoubtedly a place of privilege, it was also a means of providing direct patronage to female authors including Djuna Barnes. Barney’s unabashed, enthused support of female work, coupled with her tendency to personalize male writers the way women were (and continue to be) personalized set her firmly in the vanguard working to establish a female literary canon. Tsvetaeva’s response does not tackle Barney’s book as a whole. The essay is Tsvetaeva’s attempt to point out what she considers a massive blind spot in Barney’s glowing depiction of lesbianism in Thoughts of the Amazon. Tsvetaeva’s primary argument is that two women in love will inevitably part ways when one wants a baby by the other but the couple is unable to naturally conceive a child. This is inevitable “doom” any lesbian relationship faces. Tsvetaeva is notoriously difficult to translate. Her poetry in Russian plays off folk song with an inventiveness that is difficult to transfer across languages. Tsvetaeva also wrote and translated French and German. A’Dora Phillips and Gaëlle Cogan have done an admirable job of translating Tsvetaeva’s French to English. Tsvetaeva’s sonically impactful use of fragments and em dashes is preserved here. The essay is ripe with Tsvetaeva’s swoon-worthy phrasing (“The sweetness of putting your foot on a heart”). Unfortunately, Tsvetaeva’s argument is deeply flawed. Tsvetaeva’s incredibly narrow definition of what constitutes a “normal” lesbian, her limited ideas regarding the necessity of biological maternity and the essentialness of motherhood to a “normal” woman all conspire to make the essay read as outdated. The examples provided by Tsvetaeva as supporting argument are almost exclusively anecdotal, based on her affair with Parnok. In the essay’s introduction, Ciepiela argues that gay and lesbian couples fighting for the right to have children of their own may identify with some of Tsvetaeva’s argument. Doubtful. This essay is the defense of a gifted bourgeois poet as to why she couldn’t continue an affair with her lesbian lover. This is an essay about choice, which is the hallmark of privilege. Tsvetaeva is weighing the impact for a woman of a heterosexual vs. homosexual union for a woman’s life — namely, her own. The specifics of this fatal obstacle to lesbian love are extensively enumerated with details drawn almost entirely from Tsvetaeva’s two-year affair with Sophia Parnok, who is often referred to rather cornily as “Russia’s Sappho.” This passionate and mutually generative affair happened twenty years prior to Tsvetaeva’s penning of the essay. 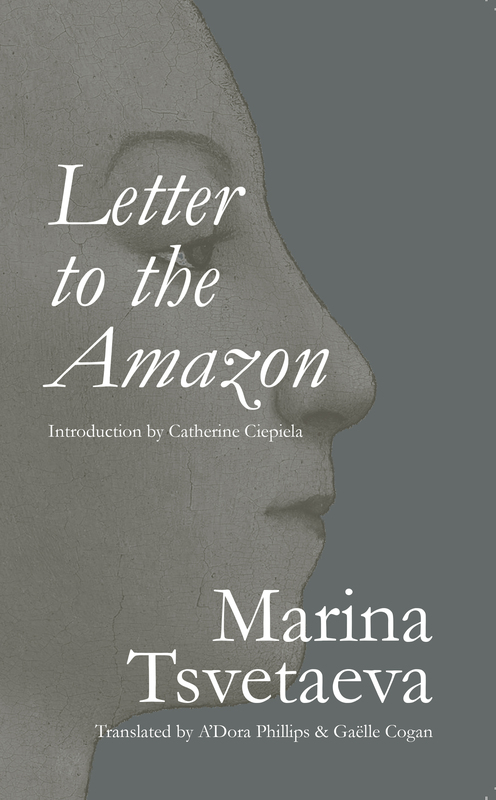 Given the highly anecdotal nature of Tsvetaeva’s argument, it is fair to inquire how her relationship with Parnok informed Letter to the Amazon. And so it is that the young smiling girl, who does not want any stranger in her body, who wants nothing to do with him and what is his, who wants only what is mine, meets at the turn of a road another me, a she, whom she need not fear, against whom she need not defend herself, for the other cannot hurt her, since one cannot (at least when young) hurt oneself. The love between women she views positively. Her argument is that nature’s cruelty in preventing a woman from directly impregnating another woman dooms any union between “normal” lesbians. Tsvetaeva defines a normal lesbian through exclusion. She excludes the following exceptions from her definition: the non-maternal woman; the young, depraved, shallow pleasure-lover; the lost soul who searches in love for soul; the one who loves with abandon; and the woman unable to conceive. Anyone left after this winnowing of an already narrow slice of the population constitutes a normal homosexual woman. What comes, then, might be interpreted as Tsvetaeva’s choice to retrospectively explain and defend her choice to return to her husband, Sergei Efron. She had one child with him at the time of the affair (her daughter, Adriadne, who was old enough at the time to recall spending time with her mother and Parnok). After returning to Efron, Tsvetaeva had two more children. The life she built herself as a wife and mother is not described explicitly in the essay, but her lifelong work repeatedly emphasizes the importance of wifehood and motherhood to Tsvetaeva. In lieu of describing her own maternally fulfilling life, Tsvetaeva instead chooses to feature in the essay a grim portrait of another kind of a life: that of an aged lesbian, alone and doomed by choice to grow old in solitude. The other! Let’s think of her. The island. The eternally isolated . . . Eternally losing the only game that matters — the only game there is. The loathed. The banished. The damned. In another passage of note, Tsvetaeva makes the point that while a woman may, in theory, leave both a lesbian lover and an infertile man for the same inability to provide a child, the cases are inherently different. An exceptional case [an infertile man] cannot be compared to a law without exception. The entire race, the entire cause, the entire matter is sentenced when women love one another. To leave an infertile man for his fertile brother is different from leaving the eternally-barren love for the eternally-fertile enemy. In the former case, I bid farewell to a man; in the latter, to the entire race, the entire cause, to all women in a single one. To change only the object. To change shores and worlds. Tsvetaeva wants to believe that she didn’t break up with Parnok. She broke up with women, period. But underneath Tsvetaeva’s extensive and somewhat defensive explanation for her actions is an undercurrent of regret. The essay also offers a poetic defense of repression. Tsvetaeva lauds holding oneself back, arguing that it requires more energy and strength to repress than expel.
. . . controlling a force requires an infinitely more bitter effort than unleashing it — which requires no effort at all. In this sense all natural activity is passive, while all willed passivity is active (effusion — endurance, repression — action). Which is more difficult: to hold a horse back or to let it run? Who is Tsvetaeva really trying to convince? Natalie Clifford Barney is steadfast in her love of lesbianism — certainly Tsvetaeva isn’t convincing her. Parnok is dead at the essay’s close. Tsvetaeva is trying to convince herself here. The mere fact that she lays out such a case over the course of two years, twenty years after the close of the affair, marks the power of her time with Parnok. The essay, nearing its end, offers the reader this image of a mountain. A fatal and natural tendency of the mountain for the valley, the torrent for the lake. Toward evening, the mountain flows back completely toward its peak. When night comes, it is peak. It seems that its torrents are flowing backwards. At night, she pulls herself together. Here, the “fatal and natural tendency” is lifelong lesbianism and, in Tsvetaeva’s argument, its lonely childlessness. Lesbianism is a downward movement — “the mountain for the valley.” But Tsvetaeva “pulls herself together” to flow backwards, upwards, a mountain returning itself to a righted state. The mountain is a recurring personal symbol for Tsvetaeva. In 1926, Tsvetaeva wrote to Boris Pasternak about her pronounced discomfort for the ocean and relating preference for the mountain. 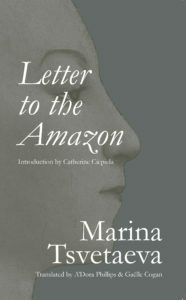 In this letter, she perhaps gives us unwitting insight into thoughts that can partially illuminate Letter to the Amazon. But there’s one thing, Boris: I don’t like the sea. Can’t bear it. A vast expanse and nothing to walk on — that’s one thing. In constant motion and I can only watch it — that’s another . . . And the sea at night? — cold, terrifying, invisible, unloving, filled with itself . . . The sea never feels cold, it is cold — it is all its horrible features. They are its essence . . . A monstrous saucer. Flat, Boris. An enormous flat-bottomed cradle tossing out a baby (a ship) every minute. It cannot be caressed (too wet). It cannot be worshipped (too terrible). . . .The sea is a dictatorship, Boris. A mountain is a dimity. A mountain has many sides to it . . . A mountain has streams, nests, games. A mountain is first and foremost what I stand on, Boris. My exact worth. Tsvetaeva argues it takes more energy to repress than expel feeling. She chooses a child over a lover who cannot bear her one. She chooses the mountain over the sea. Emma Brown Sanders is a poet working in academic publishing. You can find her at brownsanders.tumblr.com.